You can conduct experiment to test the potency of deodorant. You use several hygiene products in your daily preparation for work, school or social activities. Deodorant is just one of those products. When you rub or spray on your deodorant, you expect it to make you smell fresh and prevent ugly sweat stains from appearing on your clothes. However, some deodorant does not do those tasks well. 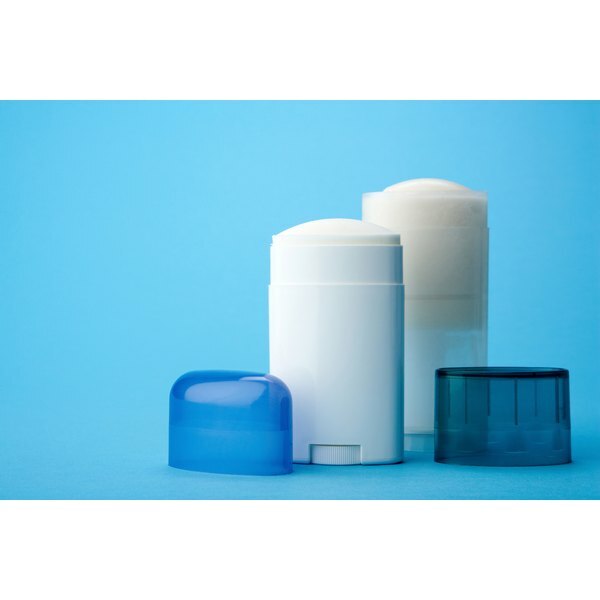 There are several investigatory projects you can undertake to test your deodorant. The first investigatory project that you can undertake is a fragrance endurance testing. You will be testing to see how long the fragrance of the deodorant lasts while on your body and how well it prevents odor. You will need one stick/container of deodorant from three different brands and at least three volunteers. Instruct the volunteers to use the deodorant (one brand per volunteer) and observe the fragrance every 3 or 4 hours. Create a survey for them to take, measuring how strong or weak the fragrance is at each interval and how much odor has increased or been suppressed. The next investigative project examines the effectiveness of several brands of deodorant at preventing stains. Again, you will need three or more sticks/containers of deodorant from three different brands of deodorant and at least three volunteers. You can test more brands, but you will also need more volunteers because each volunteer will use only one brand. Instruct each volunteers to wear a white T-shirt, use the deodorant and conduct his regular activities for about 8 hours. At the end of the time, examine the shirts to see which brand has done the best job of preventing sweat stains under the arms. This experiment is best done in the summer when extreme heat caused profuse sweating. The third investigation examines the effectiveness of several brands of deodorant at controlling or stopping sweat production. You will need volunteers and antiperspirant deodorant samples (one sample for each volunteer). Instruct each volunteers to wear a white T-shirt, use the deodorant (on all parts of the body, not just the underarms) and spend at least 30 minutes outside on a very hot day, so that they perspire excessively. Weigh each volunteer's shirt before conduct the experiment and record each weight. At the end of the time, weigh the shirts again, this time zeroing out the weight of the material. Doing this will give a measurement of the amount of sweat that the shirts have absorbed and, therefore, the amount of sweat the deodorant did not block. The last investigation measures the residue and debris left on underarms and clothing by different brands of deodorant. Choose your brands and your volunteers. Have them use the brands of deodorant for a full day. Then, physically examine their underarms and clothing for residue, such as white clumps and deodorant smudges. How Does Shout Work to Remove Stains?